Recover trace blood invisible to the naked eye - swab the blood and recover the DNA evidence. 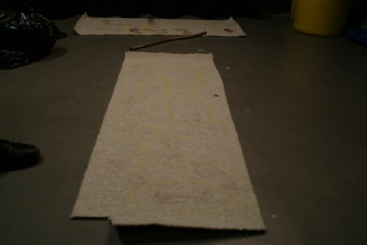 Find blood patterns for Forensic analysis. Recover invisible shoe and naked footwear impressions in blood. Locate direction smears from where a cadaver has been moved. Discover if a person was shot from above or behind. All training can be provided at your location and ‘live’ at crime scenes. Each training course is individually tailored according to the requirements of your organisation and the abilities of your staff. But does a glow mean there's blood present? Not necessarily. 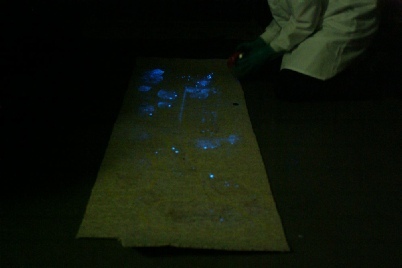 Luminol reacts to some metals, paints, cleaning products and plant matter. However, the chemical's reaction to each differs. A specialist can tell the difference, and then perform more conclusive tests to determine whether the blood is human.